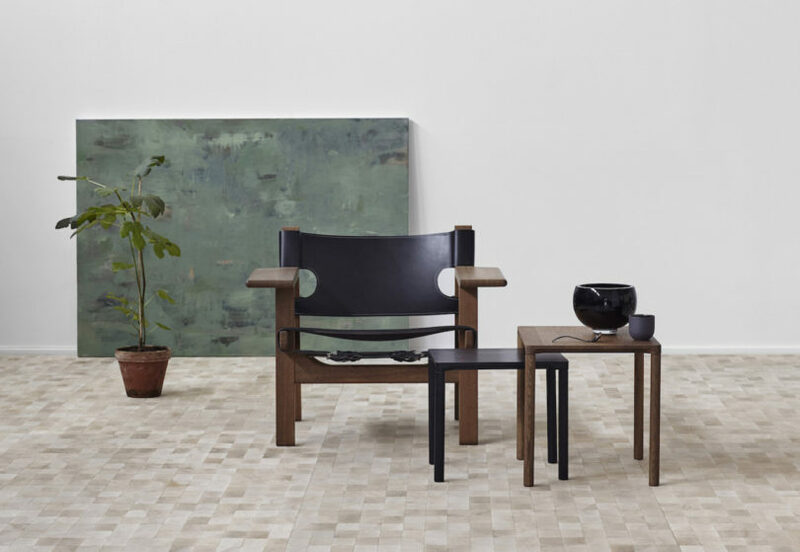 Showcasing a century of craftsmanship, Danish brand Fredericia will be launching high-quality furniture ranges, including the 'Acme' and 'Verve' chair series by duo Geckeler Michels, and its eye-catching 'Barbry' collection of occasional tables and stools by Aurélien Barbry. The family-owned brand, founded in 1911, commissions contemporary pieces from a pool of international talent, as well as representing the mid-century modern work of iconic Danish designers including Børge Mogensen, drawing on tactile woods and sculptural shapes. Family-run Spanish lighting brand Marset will be flaunting its latest innovative contemporary designs, including colourful, light-weight task light 'Bicoca' by Christophe Mathieu, launched in 2017. Made of polycarbonate in a range of quirky hues, it features a sleek geometric shape and tiltable shade. Three additional accessories allow you to fix it to walls, attach it to chair armrests, sofa backs and headboards, or secure it to a table, making 'Bicoca' your portable pal. Swing by shopping zone The Canopy to snap up buyable designs by Daniel Emma, an Adelaide duo known for graphic shapes, popping colours, and quirky wit. 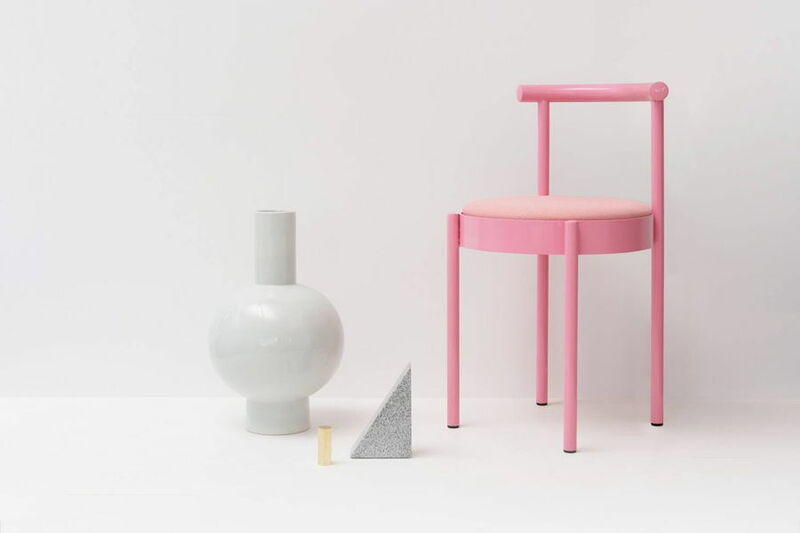 The couple (aka Daniel To and Emma Aiston) founded their studio in 2008 and are passionate about industrial design, having created accessories, lighting, seating and outdoor furniture, with both in-house collections and collaborations with respected brands. A growing force within the world of design, Kickstarter has become one of the key ways new talents can fundraise to bring creative projects to life. For designjunction 2017, they'll be teaming up with Liverpool-based Granby Workshop (which makes architectural ceramics) and Assemble (a Turner Prize-winning design collective), who will showcase their latest product range 'Splatware' in The Canopy in an immersive cafe. Enjoy snacks and drinks on the quirky plates and cups, crafted by combining different coloured clay in a massive 60-tonne industrial press. The multi-coloured, ceramic tableware will be available exclusively via Granby Workshop's Kickstarter campaign. You'll spy more Kickstarter designers around designjunction, as well as elsewhere across the wider London Design Festival. Showcasing 18 emerging designers and artists, Dubai Design District's 'Middle East: Design Now!' exhibition is its designjunction debut, shining a light on a region underrepresented on the world scene. Curated by Suzanne Trocmé, highlights include Ghassan Salameh's multi-legged, arthropod 'Memory' lamp' and Aljoud Lootah's marble 'Unfolding Unity Stool'. Expect fresh aesthetics, materials and directions beyond the clichéd bling within d3's ultra-modern pod in Granary Square, with talent on display from the UAE, Saudi Arabia, Kuwait, Lebanon, Jordan, Egypt, Tunisia and Morocco. The ever-fabulous Skandium, London's premium purveyor of all things Scandi, will be sharing new accessories by established ceramics brand Kähler, as well as fresh furniture collections by Skagerak, drawing on traditional materials and craftsmanship. Both brands are Danish, and perfect for creating a hygge home. You can also see Skagerak's covetable outdoor furniture in the garden of the Skandium Townhouse (31 Thurloe Place, South Kensington), a new four-storey retail space christened with an in-store installation by designers GamFratesi for Danish lighting stalwart Louis Poulsen (until Sunday 24 September).